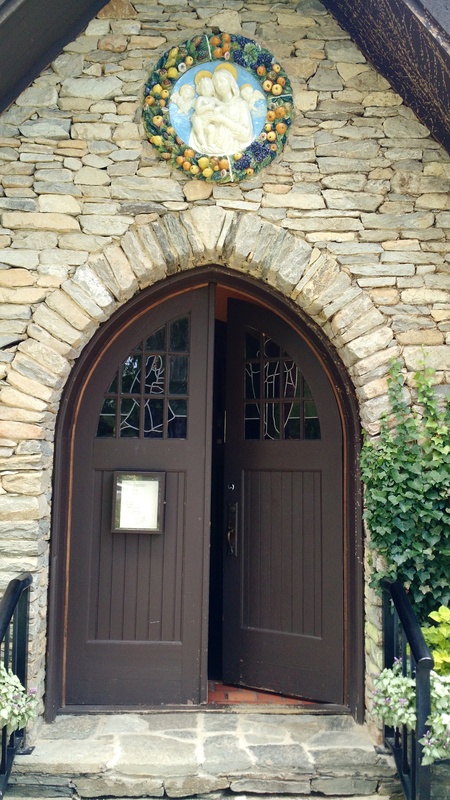 St. Mary of the Hills Episcopal Church is planning a year-long celebration of the 100th anniversary of its church on Main Street in Blowing Rock. 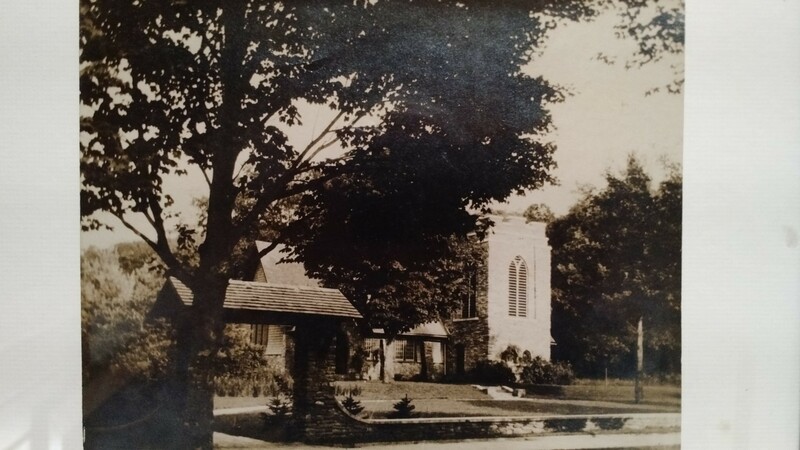 Originally founded as a summer chapel overlooking the John’s River Gorge in 1891, the cornerstone of the current historic stone church on Main Street was laid on September 26th in 1918, and the first services were held there in the summer of 1921. The famous painting ‘Mary the Virgin’ hangs above the altar and was painted by renowned painter and summer Blowing Rock resident Elliott Dangerfield. The church was built in memory of Susie Parker Stringfellow, who had been quite active in the little church from its early years, and in gratitude for her husband’s recovery from tuberculosis, which they attributed to the clean mountain air of their estate, “Chetola”, located on the edge of town. The church building, with its Norman-style buttresses and bell tower, was expanded in 1993, and then completely renovated for energy-efficiency and to accommodate a new Lively-Fulcher pipe organ in 2014. St. Mary’s has been a year-round church home for its congregants since 1951. Though perhaps best-known for its Tour of Homes each July in which several Blowing Rock homes graciously open their doors to raise funds for a long list of local charities, of equal importance are the church members who are active volunteers with a number of those same organizations. In addition to raising funds for the Water Project (digging wells to provide clean water in the developing world) and for Heifer International, the parish was a covenant founder of Habitat for Humanity in Watauga County, has five monthly Meal Teams at Hospitality House, provides ‘Back on Your Feet’ boxes for families moving from Hospitality House into permanent housing, is a meeting place for AA and Al-Anon, fills “Bags of Hope” every month for local food banks, and sponsors Creative Peacemakers - weekly activities for children and their mothers and a week-long children’s summer day-camp for members of the Watauga Latino community. The Centennial Celebration kicked off with a parish potluck lunch at the church on Sunday, February 11th after the 10:10 am service, and was enthusiastically attended. Plans include the 60th Annual Tour of Homes on Friday, July 27th, a choir study trip to Cambridge, England in May followed by the release of a new recording by the choir, commissioning a new hymn - ‘Ye mountains, bend ye low’ - as well as a number of other events and community service opportunities throughout the coming year. The St. Mary’s congregation is looking forward to engaging the entire community in the celebration, and gearing up for the next 100 years in Blowing Rock. WE HAVE A CENTENNIAL HYMN! As part of the Centennial celebration at St. Mary of the Hills, we have commissioned a hymn which will bear the name of our parish. The composer, Gareth Treseder, a Welshman who lives in London, has offered this text as the basis of the hymn. It was written by Isaac Williams (1802-65), translated from the original by Jean-Baptiste de Santeuil (1630-97). Would their glad summits bow. The mother with her God. And where her footsteps rest. We praise Thee without end. The poetry captures well the elements we suggested—Mary the mother of our Lord, the mountains and hills which are the part of God’s creation from which our spirituality grows. Some of us were brought to tears at the first sight of these words. Here is the Mary whose feet were on the ground, connected to the life we know. Here is the Mary who knows the joys and sorrows of our lives. Here is the Mary who carried her child over hills made holy by their presence. It is as though the poet and Elliott Daingerfield, the painter of the St. Mary of the Hills painting, had a secret meeting to plan this convergence. Now we wait for the revealing of the music that will be ours. Pray for Gareth Treseder that he might be inspired in these days of composition. I recommend Googling him in order to listen to his previous compositions. The Holy Spirit has been at work in this endeavor. May the Spirit continue to be mightily present as our composer completes his work and we receive the gift of his artistry. 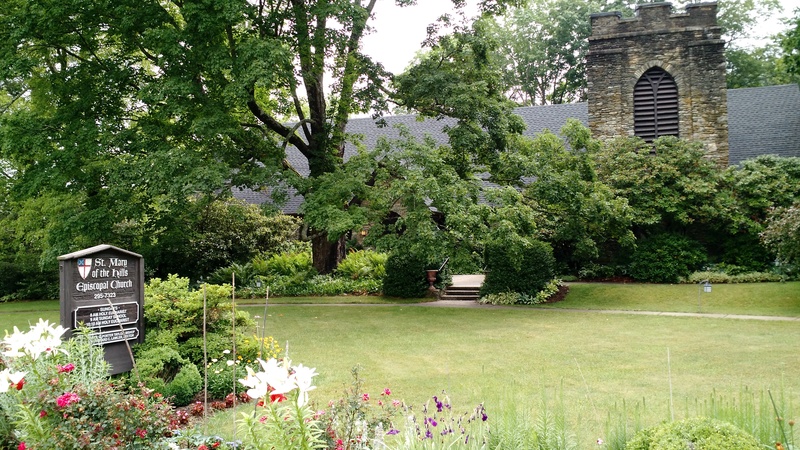 The Mary Garden was developed thru the interest of the Rev. John Sherwood McDuffie, rector of St. Mary’s from September 1955 through 1960. Rev. McDuffie’s plans called for a memorial garden patterned after the traditional medieval Mary Gardens designed and executed centuries ago to honor Mary, the mother of Jesus. In September 1958 definite plans for the Mary Garden were adopted by the St. Mary’s vestry. Mr. F. Arthur Hazard, A.I.A. of Augusta, Georgia, was the architect for the garden. Specifications were completed in 1960. Mr. Hazard’s plan called for a circulating fountain as a focal point in the center of the garden. In February 1961 this plan was modified, deleting the fountain and replacing it with a four foot statue of the Madonna executed by noted sculptor, Marjorie Daingerfield. She entitled the statue THE OFFERING, in reference to Luke 21:19, “But Mary kept all these things and pondered them in her heart.” She explained that in the statue The Virgin does not hold the infant Jesus tightly. She releases Him to fulfill His destiny. The pose of the Child is that of the cross with arms extended. It was during the period of the Rev. C. Ward Courtney (who served from March 1961 to August 1965) that the Mary Garden was constructed. The rustic stone wall was given in memory of Lila Henkel Spilman, with Randall Foster serving as the contractor assisted by Vaughn Hartley. The Mary Garden wall was completed in August of 1962. It was not until September of 1972, under the Rev. George D. Stenhouse, Sr. that the barren Mary Garden took life under the direction of Mrs. Muriel Coykendall Kiser and Lena Council Reeves. Mrs. Kiser presented the garden lay-out plans to the St. Mary’s vestry saying, "...It is a garden with a fullness of meaning and beauty. It is not just a display of flowers. It must be kept simple, uncluttered, and peaceful. It should invite the visitor to meditate.The focal point should be a statue of Mary, if it is to be authentic,” she insisted. In 1972 the Rev. and Mrs. Stenhouse’s oldest son was killed in an automobile accident. Friends and parishioners purchased Marjorie Danigerfield’s statue of the Madonna, “The Offering” and on October 20, 1972 it was dedicated in memory of George Daniel Stenhouse, Jr. by the Rt. Rev. M. George Henry, Bishop of Western North Carolina. The Memorial Garden is designed to provide an appropriate space for the scattering of ashes of deceased members of the parish. The names of the decedents are placed on brass nameplates attached to a plaque on the stone wall of the garden.